…a virtual bar that is. Actually, more of a meditation room. Just before tuning in to the Apple WWDC2017 Keynote on Monday, I had a meeting with Jayse Hansen, master of the Fictional User Interface (FUI), Hologram and HUD design for film franchises like Star Wars, Iron Man, and The Hunger Games, and Alex Colgan, Leap Motion’s digital content and community lead. We met to chat about the future of augmented reality, virtual reality and the newest features of Leap Motion’s hand tracking. As a healthcare marketing strategist, I was excited to chat with Alex and Jayse about Leap Motion and its applications for VR in healthcare. This is my passion— using virtual reality, augmented reality, and mixed reality to impact healthcare including things like surgical training, pain management and treatment. The rapid innovation by companies like Leap Motion fuels my desire to learn more. But this article isn’t about what Leap Motion has in store for the year. After all, Jayse and I had to sign NDAs before talking to Alex. This article is about how and where we had our meeting. My brother Jayse lives in Las Vegas, Nevada. I live in Southern California. And Alex lives in Nova Scotia, Canada. Collectively, that’s about 4,000 miles between us. When we all discussed meeting earlier last month (shortly after NAB) to chat about VR and healthcare, we thought a conference call would be in order. Then, we thought we could use our webcams and have a video conference. And then we said, why not meet in AltspaceVR? 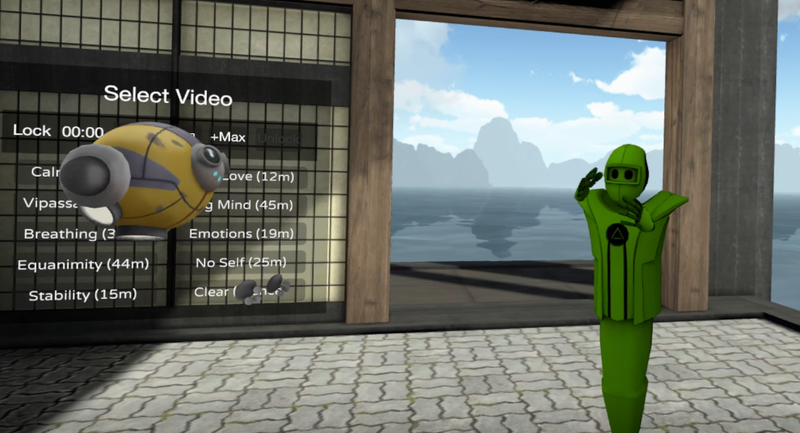 AltspaceVR, whose slogan is “Be there, together” is a social virtual reality platform. Individuals with virtual reality headsets (Gear VR, Daydream, Oculus Rift, or HTC Vive) can interact with each other in a real-time three-dimensional virtual space, without physically traveling anywhere. One can even access a two-dimensional space from a desktop computer. After logging in, they can choose an avatar that will represent them. 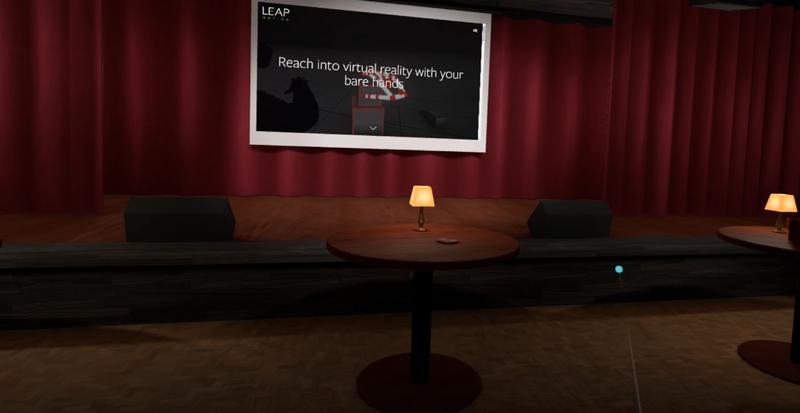 And, AltspaceVR allows for the setup of both group and private meetings, events and activities. Alex set up a private room and we all agreed on a time to join: Monday at 9am. I had just come back from a marketing conference where I conducted VR demos. I spent the morning unpacking and resetting up my Oculus Rift. Then at 9 o’clock on the dot, I logged into AltspaceVR and entered the room. I had been in AltspaceVR before. Last month, I was even a guest on a Women in VR talk show series hosted by AltspaceVR community manager Lisa Kotecki. The experience of talking about VR for healthcare in front of 50 people, in virtual reality, stays with me today. It is fascinating to me that the connection to others feels so real in this space. 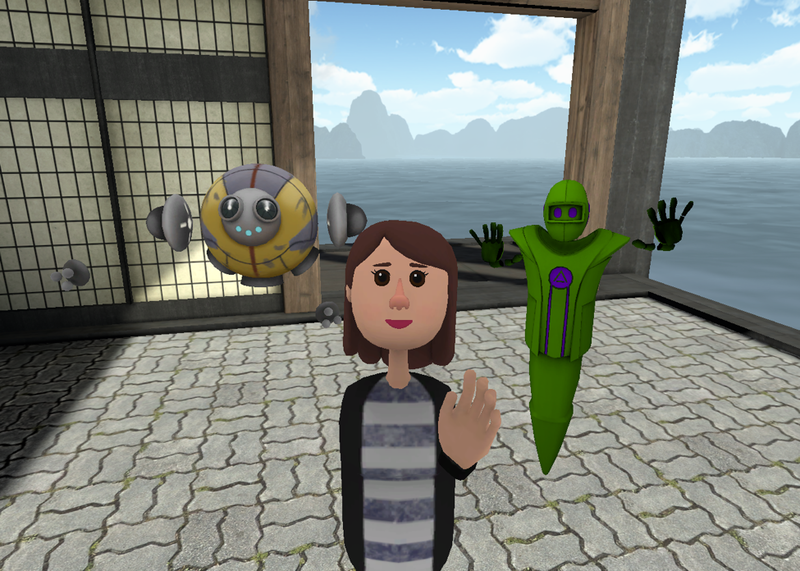 Even though the avatars are a bit cartoonish, social VR provides users a very real “sense of presence” — a feeling of involvement, warmth, and immediacy from physically-separated entities. During the talk show, I got the same initial nervous feeling I do when speaking in front of real physical people. Social VR tricks a person’s mind into believing they are in physical proximity to other people. And that’s why social VR beats out phone calls or webcams any day of the week. My view of our private meeting room in AltspaceVR. At first I was the only one in our AltspaceVR private room. And I felt lonely. But soon, Alex joined as a green robot avatar. I could hear him speak, and I was no longer alone. We talked about my work in healthcare VR and the content I have curated on my site, healthiAR.com. And he told me a little about Leap Motion. I could see his hands wiggle as he talked. There was really good dexterity in his Leap Motion hand tracking. As avatars go, Alex says the green and red robot provide the best hands. We waited for Jayse to join. After some technical troubleshooting and moving to a new meditation space, Jayse finally joined us. It was great to see him as a yellow and grey floater robot and hear his voice. I was physically sitting by myself in my living room. Yet, I felt transported into this meeting with Jayse and Alex. I even apologized for getting too close to Alex at one point as I navigated the room. It was like I was intruding on his personal space. Alex began the discussion around Leap Motion’s new embedded mobile VR modules coming out and outlined some of their healthcare partnerships. I could see Jayse nodding his head in agreement. I used my emoji controls to provide claps and hearts. The conversation was intimate, rich and robust, as if we were all really in the room together. We stood there talking, discussing and plotting the new virtual reality world. All in a virtual reality space. And naturally, we took a selfie. Social VR and platforms like AltspaceVR, VTime, Facebook Spaces, and even some of the newer VR games, provide amazing avenues for personal connections that transcend physical location. It can break down cultural bubbles by exposing users to new ideas, ways of life, and mindsets of people from around the world. It will not replace in-person meetings, but it will enable meaningful teleconferencing. I find it powerful in healthcare as it offers inclusivity for those that are immobile, house-bound, or cannot otherwise travel. What do you think? Have you tried social VR? Marketing expert with a passion for VR/AR and MR. Founder of http://HealthiAR.com.